Is carpet repair the right fit for you or should you replace it all? If your carpet is over 20 years old then repairing it may not be the right answer. 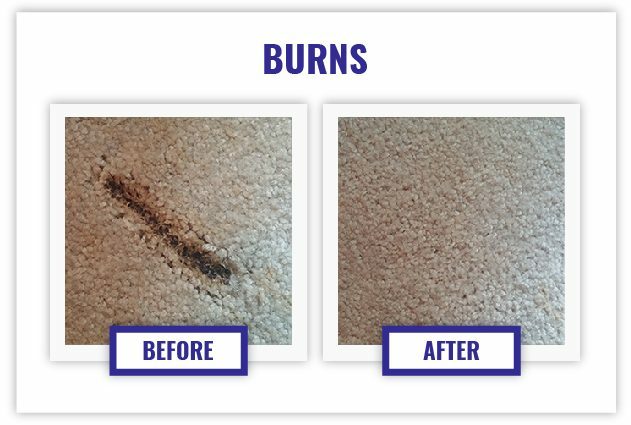 However, in many cases you will only have certain areas or spots of your carpet showing signs of wear, damage, or the need for restretching. Contact our Minneapolis carpet repair professionals today to evaluate your carpet and help you make the right decision that fits your needs. Q. Why should I have my carpet repaired? A. Because it can be a very inexpensive alternative to replacing the carpet if there are discoloration stains, rips/tears, etc. Q. What are some examples of damage that can happen to the carpet? A. Discoloration: Pet stains, chemicals (i.e. bleach). Burn Damage: Usually from cigarette, iron, fireplace and wax. Food coloring: Certain types of dye from foods and liquids. Rips/Tears: Damage from pets, worn-out areas from high traffic, furniture moving. Q. How much does carpet repair cost? A. Our minimum charge is $100.00 and goes up from there depending on what needs to be done. Our on-site, written estimate fee is $25.00. However, the fee is waived if the customer wants the work done. Q. Can you guarantee the work? A. Most times we can warranty the work for the life of the carpet. Occasionally we cannot, however, because of pre-existing conditions in the carpet (i.e. excessive damage). 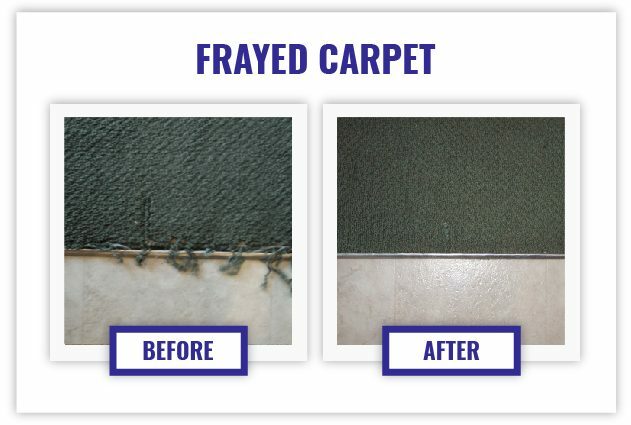 If you want to see if repairing your carpet is an option give our carpet repair experts a call today at 612-825-9797 or fill out the contact form on the right of this page. We can answer any questions you may have and give you an estimate on what it would take to repair your carpet. If it would be better to just replace the carpet we will let you know that as well.